The Powder Brow, or Ombre Brow is perfect for those who prefer a more "made up" look for their brows, without the hassle of having to fill them in every day. Bespoke hairstrokes that mimic natural eyebrow hair, can be either between existing hairs or to create a whole new brow when the brow hairs are non existent. For more fuller, shapely and symmetrical lips, using the finest colour pigments to enhance the natural lip. Soft blush pink amongst many others pigments available. 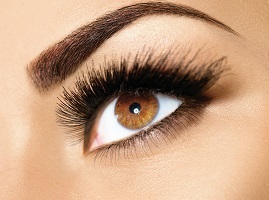 HD Brows are the UK's Number one in-salon brow treatment. Custom blended tinting & hair removal using bespoke techniques with the use of HD products. Unlike conventional, store-bought products, semi-permanent make-up doesn’t smudge or fade throughout the day - helping you to feel flawless from the moment you wake up. Elite trained micropigmentation expert, Faye McCann, provides a range of treatments, including semi permanent eyebrows, lip blush and eyeliner, at a luxury, private clinic in the heart of Liverpool. 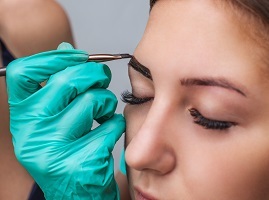 Having trained with industry leaders - including celebrity-favourite; Tracie Giles and recognised semi-permanent eyebrow expert; Mary Richerson - Faye prides herself on client care and satisfaction. Using only the highest grade pigments and state of the art equipment, she is dedicated to creating a defined, long lasting look that enhances your natural beauty from day to night, no matter what you’re doing or how busy your day is! To get the look you desire it’s important to choose the right practitioner. So whether you’re looking for the perfect HD-brow, immaculately defined lips or simply a little more information about the treatments we can offer, let your transformation begin by booking a one-to-one, free consultation with Faye to discuss how we can achieve the best results for you.